For professional artists, choosing the best type of colored pencil for your particular project can be difficult. There are so many options available that it's easy to get overwhelmed! 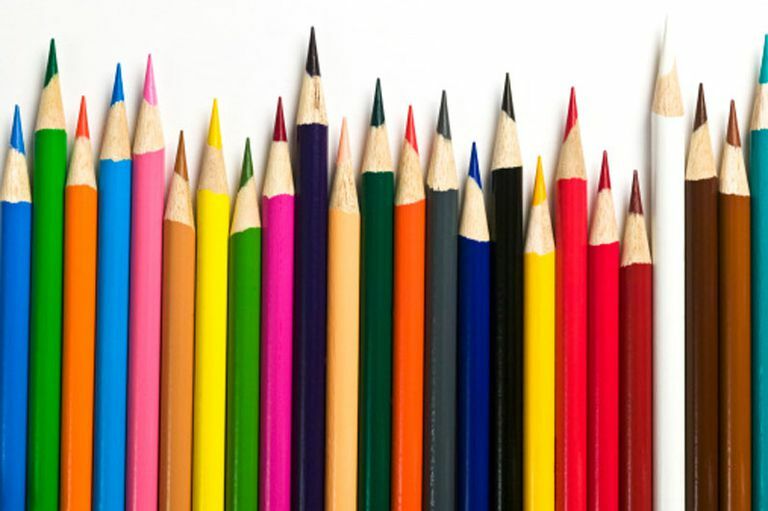 This guide is intended to help you choose the best pencil for your individual needs. Let's start off with some things to consider when comparing different pencils. Pigment quality, light resistance, security of the casing, softness, and layering potential can all vary among brands. So, what particular pencil sets should a serious artist consider? To save you time, I'll list some of my favorite tried-and-tested models. Among the top performing brands, the Prismacolor Premiere Soft Core Colored Pencil Set (150 colors) is every artist's dream and remains a budget-friendly option. You can really let your imagination run wild with this set's varied hues! The set gives you so many different shades of each color that some artists have said it's hard to see the difference between some of them! These pencils excel at blending and shading thanks to their soft cores, which allow for a smooth color laydown. The pigments are waterproof and also lightfast. The only downside of this particular set is that it doesn't come with a colorless blender. Prismacolor also has many other sets of different assortments, including a set of 132 colors, if you do not need all 150. The Derwent brand of colored pencils, made in Great Britain, has several good options, depending on what type of paper you're using. Derwent Inktense Drawing Pencils (4mm core, 72 count) are top-rated in the brand's offerings for professionals. They're recommended for use on watercolor paper. These pre-sharpened pencils feature a color tab at the top of the pencil that matches the core color so that you can quickly identify them. Their especially vivid, jewel-like hues (usually only found in watercolor pencils) are enhanced by a firm texture that makes them great for bold strokes and allows them to perform just like traditional pen and ink. You can use them as watercolor pencils, and they're perfect for drawing on silk. This set includes a non-soluble outliner. To go with your Inktense pencils, the Derwent range also includes their Coloursoft tin of 6 skintone shade pencils. These are very popular for portrait artists. Made in Germany, Faber-Castell Polychromos Colored Pencils are exceptional for blending work. Wrapped in California cedar, these oil-based pencils come in a set of 120 shades, including skin tones and metallics. They make layering easy and don't have the waxy buildup of other brands. With a larger core than other brands, they're especially durable and resistant to breakage. Finally, for a true splurge, the Luminance Color Set of 76 pencils by Caran d'Ache ($420 - Yikes!) offers the highest lightfastness of any brand (listed as 100% on the box). With a wax base and fine-grain pigments, these pencils are very soft and allow for blending without waxy buildup or smearing. Nicknamed the "Rolls Royce" of colored pencils, these come in a metal tin with metal trays (unlike other brands), allowing for quick pencil removal. They have an especially buttery texture, so the color just flows onto your paper effortlessly. Their thick cores ensure that they won't break, even with a firm touch. They are extremely reliable pencils in every situation! Good luck in finding your perfect colored pencil set!